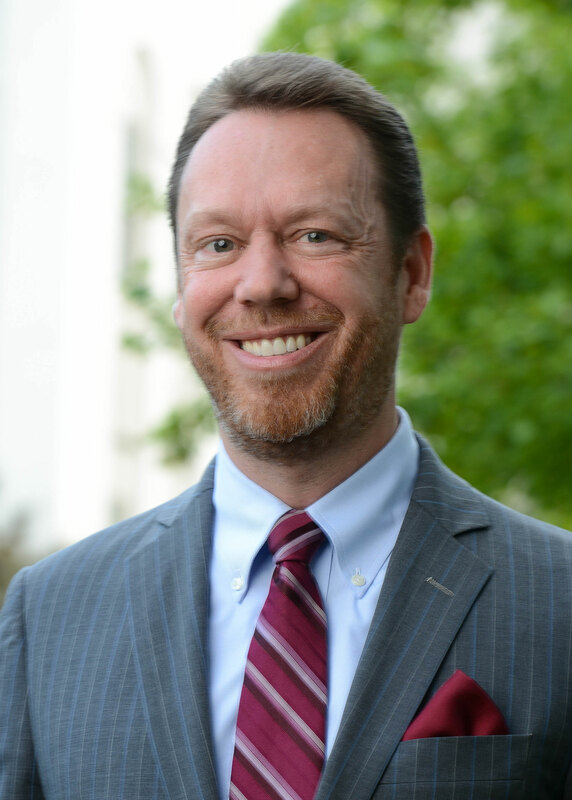 Lucian E. Dervan is an Associate Professor of Law and Director of Criminal Justice Studies at Belmont University College of Law. He focuses on domestic and international criminal law and is the recipient of numerous awards for his teaching and scholarship. Professor Dervan is the author of two books and dozens of book chapters and articles. He is also the founder and author of The Plea Bargaining Blog and a contributing editor to the White Collar Crime Prof Blog (a member of the Law Professor Blogs Network). He also regularly lectures regarding criminal law and has been invited to speak before the United States House of Representatives’ Judiciary Committee, the United States Sentencing Commission, and the International Criminal Tribunal for the former Yugoslavia. In addition to his scholarly pursuits, Professor Dervan currently serves as Chair of the ABA Criminal Justice Section. He is also the Chair of the ABA Global White Collar Crime Institute and a member of the International Criminal Justice Standards Task Force. He is also on the Advisory Committee of the NACDL White Collar Criminal Defense College at Stetson and serves as a faculty member at the program. Prior to joining the academy, Professor Dervan served as a law clerk to the Honorable Phyllis A. Kravitch of the United States Court of Appeals for the Eleventh Circuit. He also practiced law with King & Spalding LLP and Ford & Harrison LLP. At King & Spalding LLP, Professor Dervan was a member of the Special Matters and Government Investigations team. The Special Matters team was established by former United States Attorney General Griffin B. Bell in 1989 to represent corporations and individuals in complex federal and state criminal investigations, internal investigations, and Congressional investigations, as well as in related civil and regulatory proceedings. Professor Dervan received his Juris Doctorate with High Honors from Emory University School of Law, where he was an Emory Scholar, served as an Articles Editor for the Emory Law Journal, and was elected a member of the Order of the Coif. He received his Bachelor of Arts with Honors from Davidson College. You can follow him on Twitter at @LucianDervan. International Criminal Law: Cases and Materials (4th Edition), Carolina Academic Press (2016) (with Ellen S. Podgor and Roger S. Clark). Peeling the Orange: White Collar Crime Trial Problem, Carolina Academic Press (2016) (with Ellen S. Podgor). Arriving at a System of Pleas: The History and State of Plea Bargaining. A System of Pleas (Vanessa A. Edkins and Allison D. Redlich eds., Oxford University Press) (forthcoming 2018). Investigating and Prosecuting White-Collar Crime, Oxford Handbook of White-Collar Crime (Shanna R. Van Slyke, Michael L. Benson, and Francis T. Cullen eds., Oxford University Press) (2016) (with Ellen S. Podgor). Global Bribery: The Foreign Corrupt Practices Act and the UK Bribery Act, Internal Investigations (Markus Ruebenstahl ed., C.F. Muller Verlag 2012) (with Markus Ruebenstahl and Hannah Piel) (2d edition forthcoming). The 21st Century World of White Collar Criminal Defense, Careers in Criminal Justice 39-44 (Ellen Brotman ed., American Bar Association 2010). Plea Bargaining’s Survival: Financial Crimes Plea Bargaining, A Continued Triumph in a Post-Enron World, Corporate Crimes: Prosecutorial Issues 174-219 (R. Satyanarayana ed., Amicus Books 2010). Class v. United States: Bargained Justice and a System of Efficiencies, Cato Supreme Court Review (forthcoming 2018). Freedom Now or a Future Later: Pitting the Lasting Implications of Collateral Consequences against Pretrial Detention in Decisions to Plead Guilty, Psychology, Public Policy, and Law (2018) (with Dr. Vanessa A. Edkins). Introduction: Guantanamo Bay: What Next? 37 Southern Illinois University Law Journal 487 (2013) (symposium introduction). Translated into Chinese and reprinted in the KoGuan Law School Shanghai Jiao Tong University Law Review (2016). Re-Evaluating Corporate Criminal Liability: The DOJ’s Internal Moral Culpability Standard for Corporate Criminal Liability, 41 Stetson Law Review 7 (2011) (symposium article). A Dedication to Service: An Introduction to Acting Deputy Attorney General Gary G. Grindler’s Commencement Address, 34 Southern Illinois University Law Journal 797 (2010). A Brief History of the Road to the International Criminal Court, ABA Paris Sessions Conference (2018). The Injustice of the Plea-Bargain System, Wall Street Journal, A13 (December 4, 2015). Family and Medical Leave Act: Broad Implications and New Application, Florida Government Finance Officers Association Newsletter (April/May 2008). The Ever Changing Summit: The Government’s New Corporate Cooperation Standards in the Context of Investigative Employee Interviews, Wall Street Lawyer (May 2006) (with Paul. B. Murphy). Attorney-Client Privilege & Employee Interviews in Internal Investigations, Washington Legal Foundation, Contemporary Legal Notes Series, No. 49 (March 2006) (with Paul B. Murphy), reprinted at 20 No. 11 Andrews White-Collar Crime Reporter 1 (2006), 22 No. 4 Andrews’ Corporate Officers and Directors Liability Litigations Reporter 1 (2006), 16 No. 3 Andrews’ Professional Liability Reporter 1 (2006), and 12 No. 21 Andrews’ Derivatives Litigations Reporter 1 (2006). A Prisoner of Time, Mullholland Books Website, Little, Brown and Company (September 8, 2014) (Winner of the Hofstra Law School Mystery Short Story Contest). Internal Investigations: The Hidden Danger of Whistleblower Suits, 30th Annual HR Florida Conference & Expo (August 26, 2008). Avoiding Missteps When Probing Into Alleged Employee Misconduct: Using Investigation Structure to Avoid Whistleblower Claims, 4th Annual Corporate Counsel’s Forum on Conducting and Responding to Internal & Government Investigations (June 23, 2006) (with Gary G. Grindler and Matthew A. Boyd). Post-Indictment Plea Negotiations: How Did You Get Here and What to Do Now, Institute of Continuing Legal Education in Georgia (November 15, 2002) (with Gary G. Grindler). When the Government Comes Knocking in Georgia: How to Minimize Exposure, Lorman Education Services (January 27, 2003) (with Scott L. Marrah). Lucian E. Dervan, The Plea Bargaining Blog – http://thepleabargainingblog.blogspot.com/ – Owner and Author (June 2008 – present). Lucian E. Dervan, White Collar Crime Prof Blog (a member of the Law Professor Blogs Network) - http://lawprofessors.typepad.com/whitecollarcrime_blog/ - Contributing Editor (July 2014 – present).